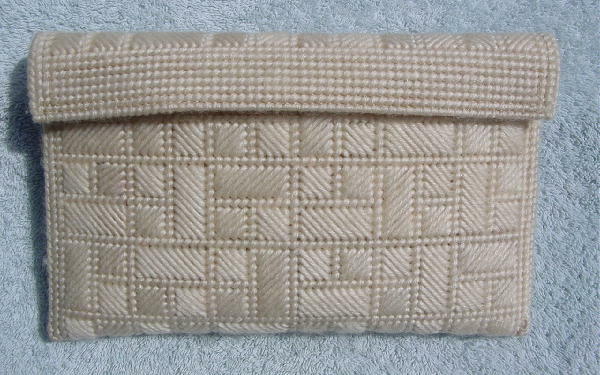 This clutch is made of antique white color yarn and has a rectangle and box pattern. It has an envelope styling and under the top flap closure is a piece of tan velcro which extends from one side to the other. The top front portion by the rim has the matching strip of velcro. 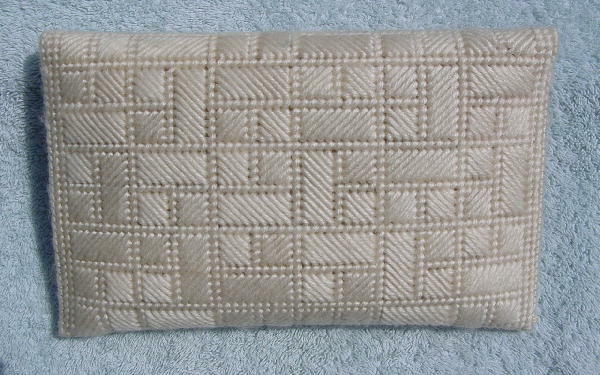 The interior has a maize color cotton fabric lining with a roomy interior open pocket. There had been a tag sewn to the left side under the flap, but it was removed. A model got it as a present.